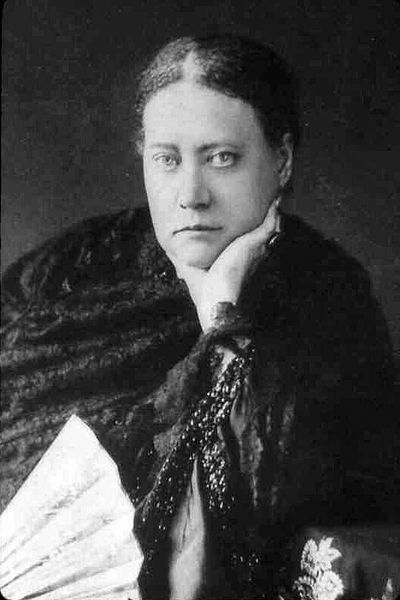 Helena Petrovna Blavatsky was a Russian occultist, best known for forming the Theosophical Society in 1875. Theosophy is an esoteric religion, albeit one that shares several ideas with Hinduism and Buddhism. Still practised today, its central tenet posits the notion of a universal spiritual humanity based on a shared reclamation of ancient wisdom – an ur-knowledge once widely known but long-since lost. The society lasted until as recently as 2011, when it split into several smaller organisations. Blavatsky’s ideas were set forth in her densely written treatise The Secret Doctrine (1888). Blavatsky’s Theosiophical outlook underlies her one collection of fictional writing, Nightmare Tales (1892), which foreshadows the ‘weird fiction’ tradition of horror in its hints that not all ancient knowledge is beneficial – some strands might be best left to lie. The Theosophical society’s HTML edition gives the estimated dates of the stories’ original composition and the website also contains information about Blavatsky’s life and work. Paganini’s ‘Dance of the Witches’, which features prominently in ‘The Ensouled Violin’ can be heard (for free) at the excellent Classical Music Online. This entry was posted in H.P Blavatsky (1831-1891), Horror, Uncategorized and tagged 19th century, blavatsky, books, download, ebook, ensouled violin, epub, fin de siecle, free, free ebooks, full text, Helena Blavatsky, horror, kindle, literature, nightmare tales, nineteenth century, occult, paganini, pdf, russian, supernatural fiction, tales, text, theosophy, victorian on November 29, 2013 by stylesofdying. Charles Willing Beale’s theosophical romance, was published in 1897 at the height of the late-Victorian ‘spiritualist’ craze. An engineer, entrepreneur and noted athlete, Beale was also the author of the science-fiction novel The Secrets of the Earth (1898). Concerning a haunted house which holds the key to a love stronger than death, the novel is heavily influenced by the writings of Helena Petrovna Blavatsky (1831-1891). In 1875, Blavatsky founded the Theosophical Society, which aimed to promote the ‘essential oneness’ of all life. 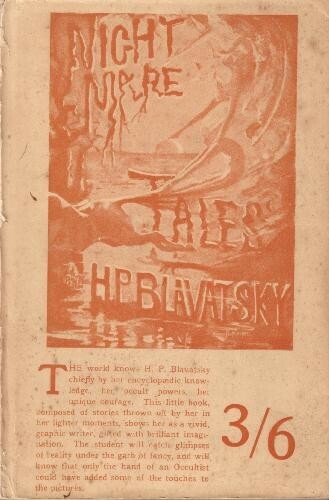 Blavatsky was herself the author of a series of weird stories, published posthumously as Nightmare Tales (1892), which will be added to the blog at a later date. The cover pictured above is that of the first paper-wrapped version and is derived from R.B. Russell’s excellent Guide to Supernatural Fiction, at Tartarus Press. 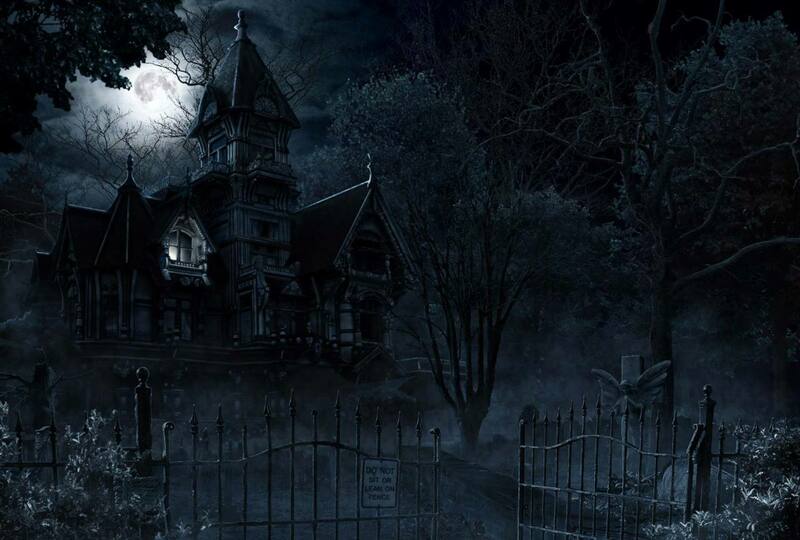 The digital matte painting of a haunted house (below) is from Chilling Tales – I have been unable to trace the artist. 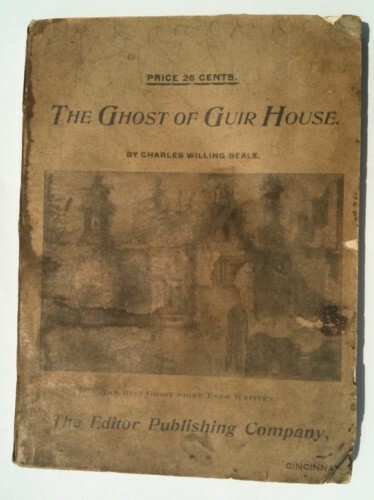 This entry was posted in Charles Willing Beale (1845-1932), Ghost Stories, H.P Blavatsky (1831-1891) and tagged 19th century, american, blavatsky, books, charles willing beale, download, ebook, epub, free, free ebooks, full text, ghost of guir house, ghost stories, ghost tales, kindle, literature, nineteenth century, pdf, text, theosophy, victorian on July 12, 2013 by stylesofdying.